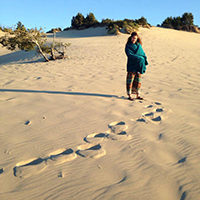 Relax, tune in, and ground yourself with this 1-hour morning sound healing session with Cindy Babyn. 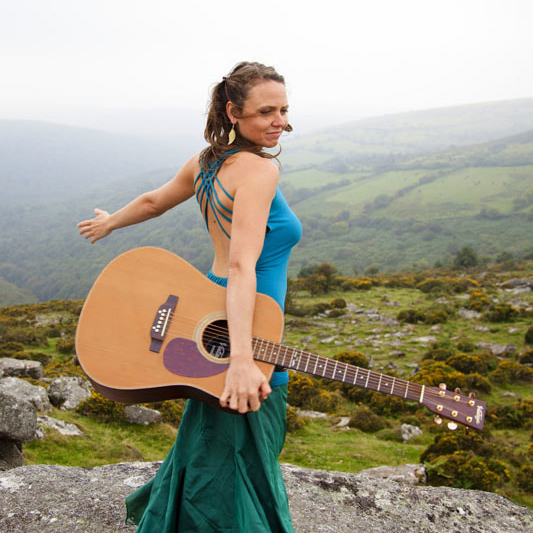 Cindy will play acoustic frequencies in a trance-style with instruments from around the world. 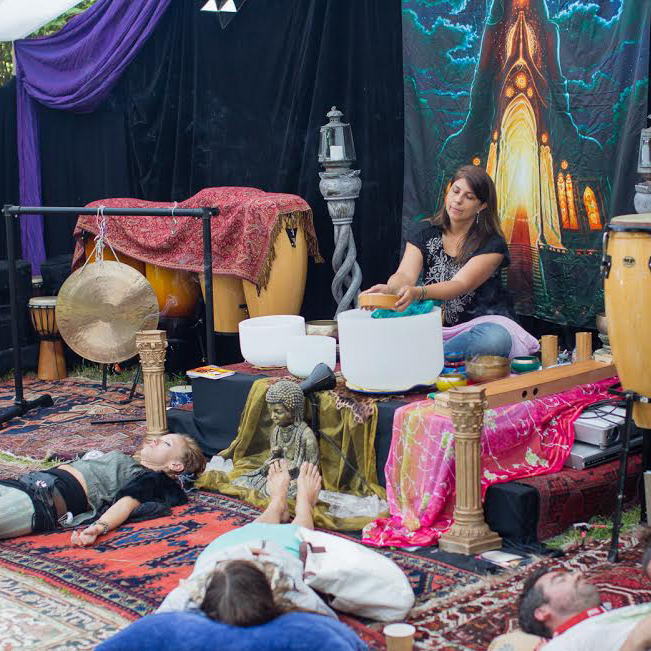 Come feel the vibes of gongs from Bali and China, Koshi Chimes from France, Hapi Drums from California, frosted quartz crystal singing bowls and clear quartz crystal singing pyramid, Himalayan singing bowls, and more. 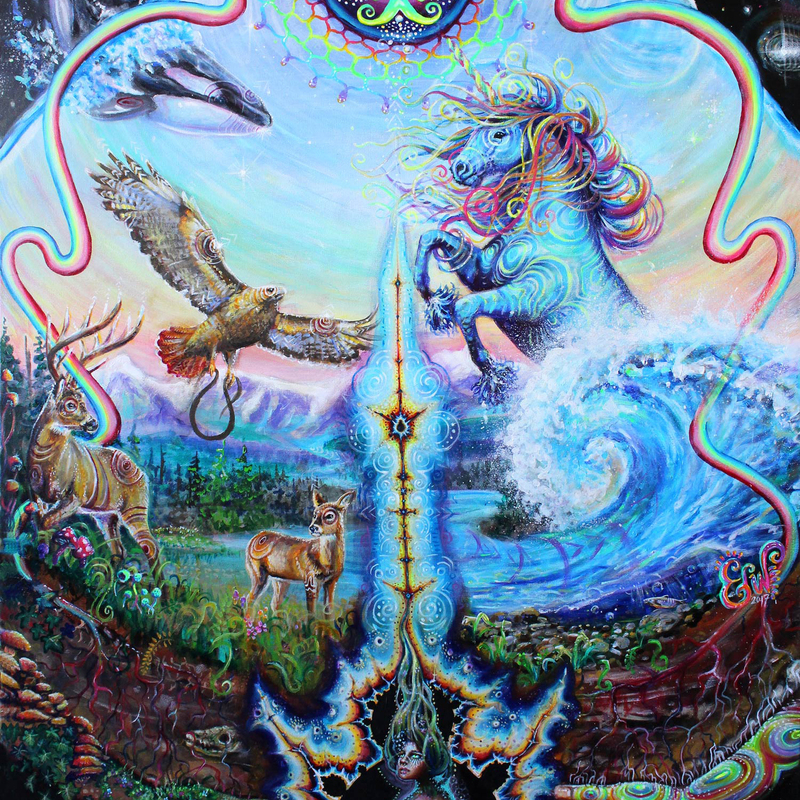 Guided Inner Journey Meditation activating our inner knowing and connection to the elements. Using imagery, music and breath to guide the participants on a journey within. Join the legendary, Ms Alice & DJ Rowan of Bellyfit® Enterprises Inc., for Bellyfit® Live: a mystical, magical movement experience, masterfully designed to invoke & awaken the Wild within. This intuitive fusion of dance + yoga + mantra + mudra, will summon both Sacred Feminine & Divine Warrior in perfect harmony. AcroYoga is a form of partner acrobatic-yoga practice. These beginner techniques are accessible for EVERYONE to try, regardless of experience. You don’t need to bring a friend. 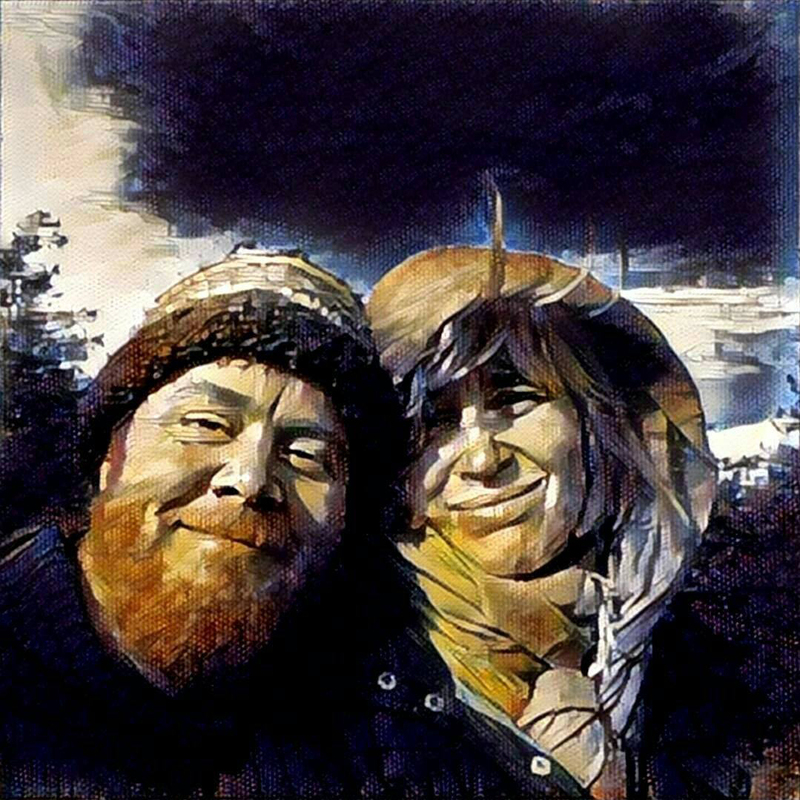 Bring your wonderful self and meet new friends. Come laugh, play and support each other as you learn how to base, fly and spot in a fun and safe environment. Find your body of delight and explore a variety of masks through interactive games. We will shake, laugh, cry and be seen in a supportive and silly environment. 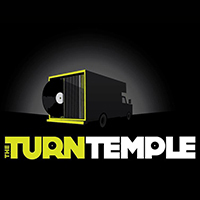 The Turntemple is a mobile, solar powered, multi turntable DJ classroom housed inside a 26 foot Uhaul truck. It is a place for DJs to share the art of Turntablism and Vinyl based DJing. Workshops for new DJs, professional development for veteran DJs. 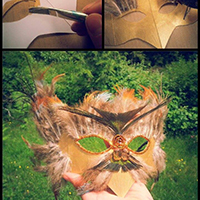 Design your own unique mask! 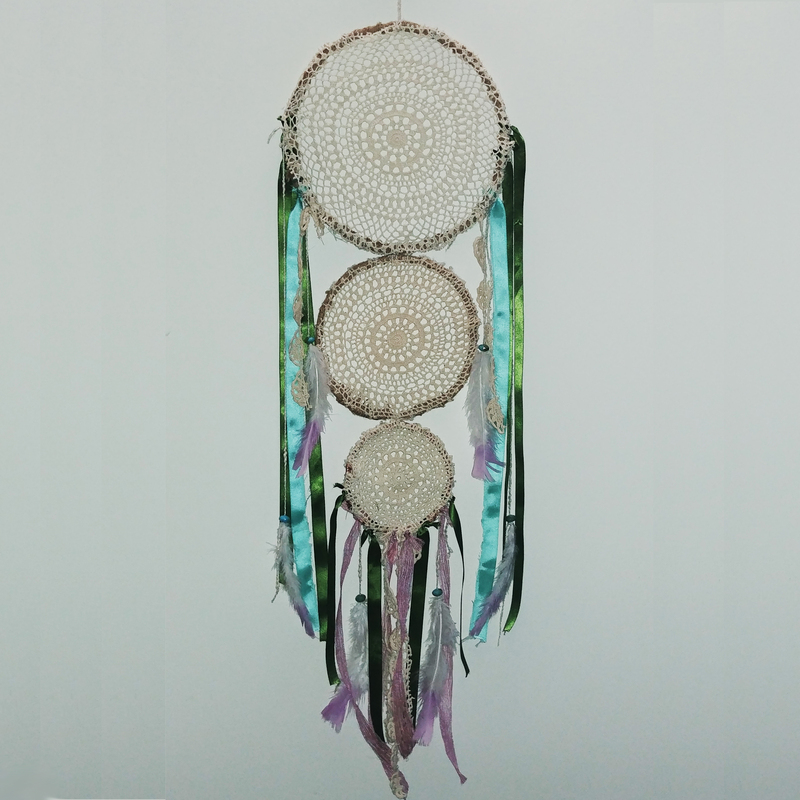 Decorate with a big selection of fabrics, feathers, and much more. Wear it around the festival after you're done. Both adults and kids welcome, come have fun with the whole family! For those who believe we must tread lightly on Mother Earth. You are invited to take part in this mini 'fantasy pet' acrylic painting class using upcycled materials.Painting and art recycling tips lead by Artisan Emma. Workshop includes all materials, but artists are welcome to bring their own supplies! Sign up required, maximum 20 people. 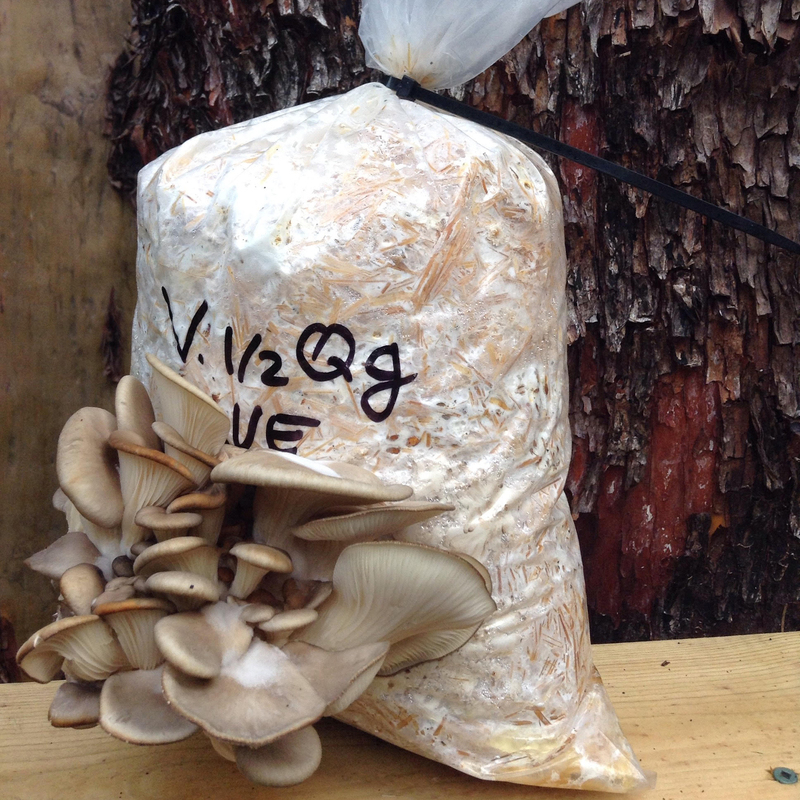 Learn to grow edible and medicinal mushrooms at home using low tech methods. In this workshop the participant will make their own oyster mushroom bag to take home. 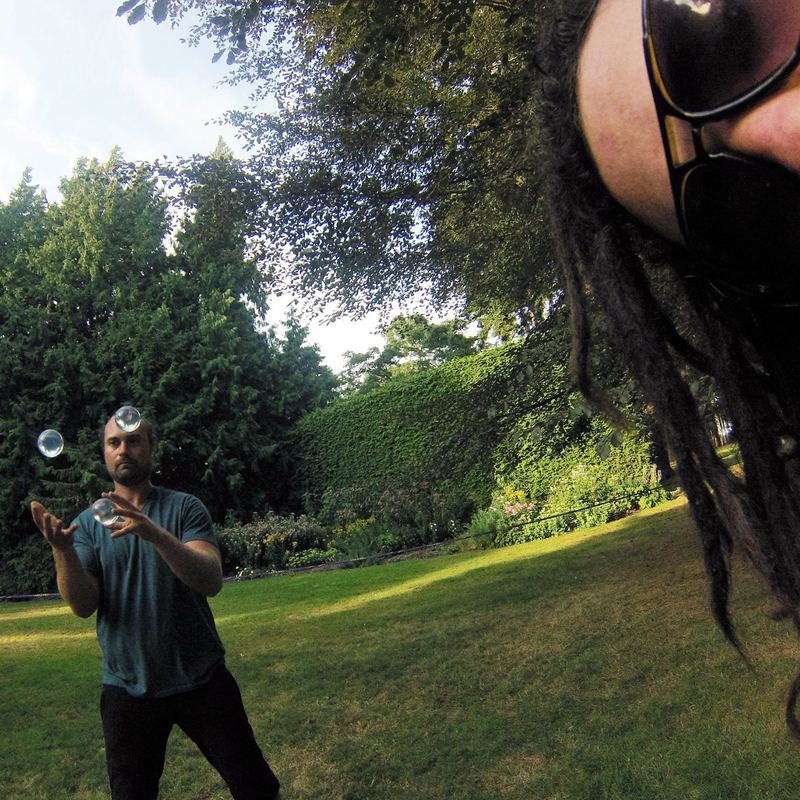 Hoop Playshop: Be Your Badass Self! Hoop playshop and movement exploration followed by jam! Designed to bring out your inner playful badass, getting into our authentic and creative hoop dance. Let your freak flag fly! 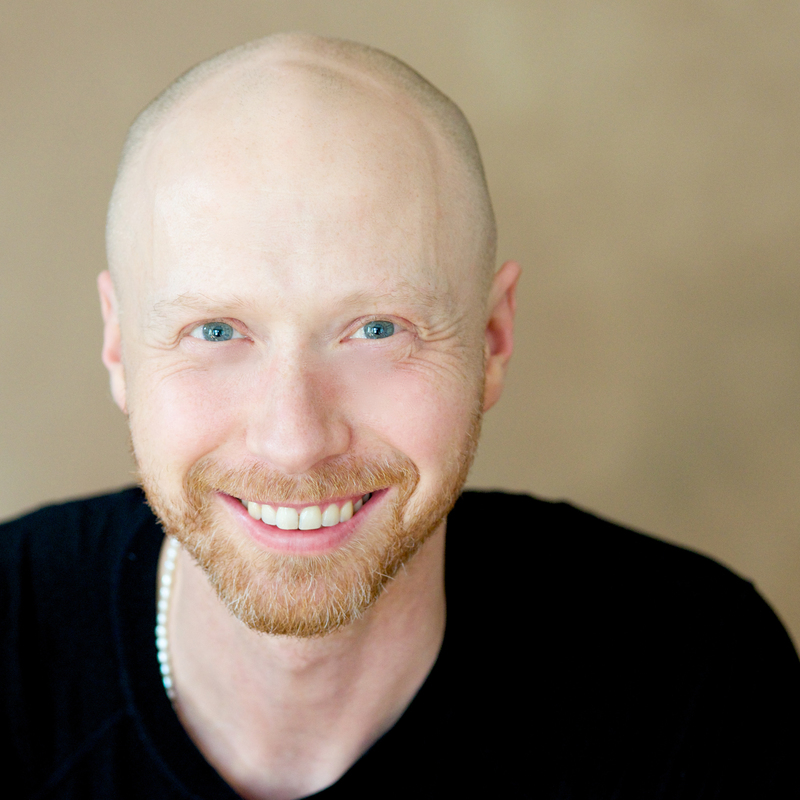 Using both humor and intuition, with over 20 years of teaching experience, Yogi Shambu trains people in many of the exciting techniques of Tantra Yoga. 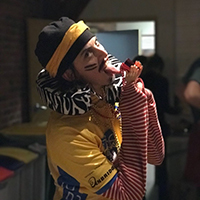 Join Shambu in Victoria for Tantra Tuesdays, follow him on Facebook and Instagram @yogishambu, and checkout his free yoga nidra at www.shambu.co. 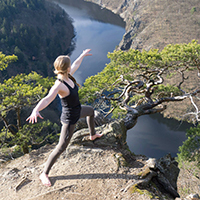 This workshop teaches you some of the basics for Qi Gong to help you connect to your Qi, or your life force energy. Based on the Taoist principles from Mantak Chia, these movements help to harness your Qi through your connection to the earth, and the cosmos. This is a great form of movement meditation to start your day and get grounded. Spirit Songs Cacao ceremonies and Dances combine the presence and intention of ceremony with the creative and divine forces of music. We begin by connecting and grounding through prayer, gratitude, honouring and intention. Opening the space and the directions to call in our greatest selves, whilst creating a safe environment for us to be free and expressive in. An introduction to all ages and skill levels on the fundamentals of music with friends and family. Join the FFG for a positive and inclusive freestyle rap workshop. Whatever your age, background, or skill level: everyone can freestyle! 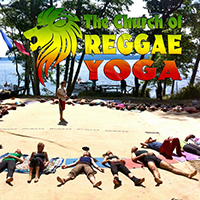 Grounded in the spirit of One Love, the Church of Reggae Yoga brings together reggae music, yoga, dance and prayer to connect body, mind and spirit and send blessings into the world. 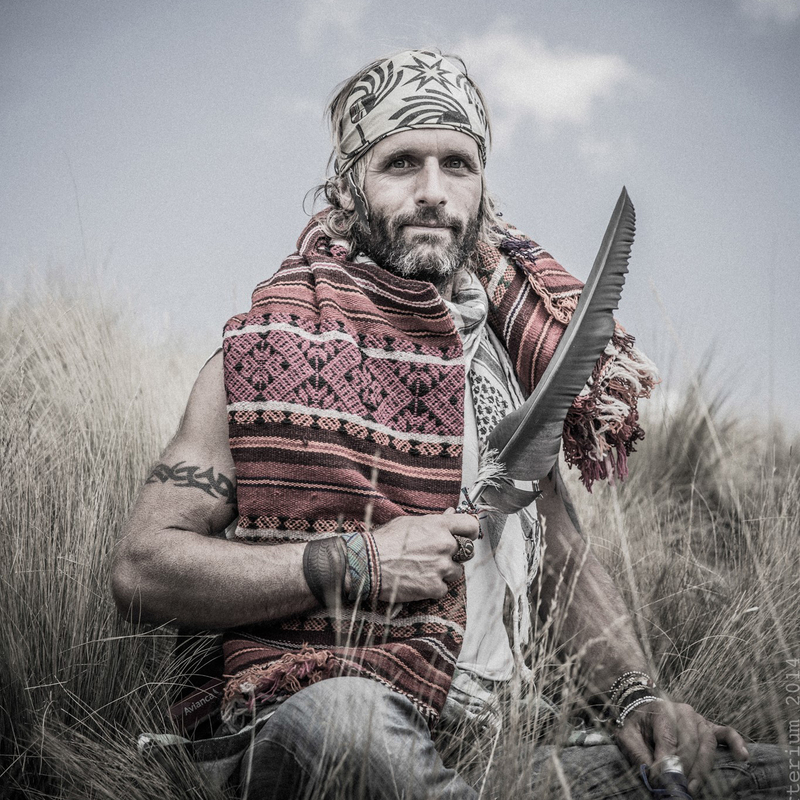 Following the path of the warrior, the Church aims to empower and uplift, facilitating freedom, depth, fun and lightness, while culminating into deep relaxation and closing with a group healing prayer for the earth. All people and all levels welcome. A gentle hatha yoga class blended with intuitive movement, restorative poses and reflexology. Wake up your body and mind gently in this relaxing and rejuvenating practice. 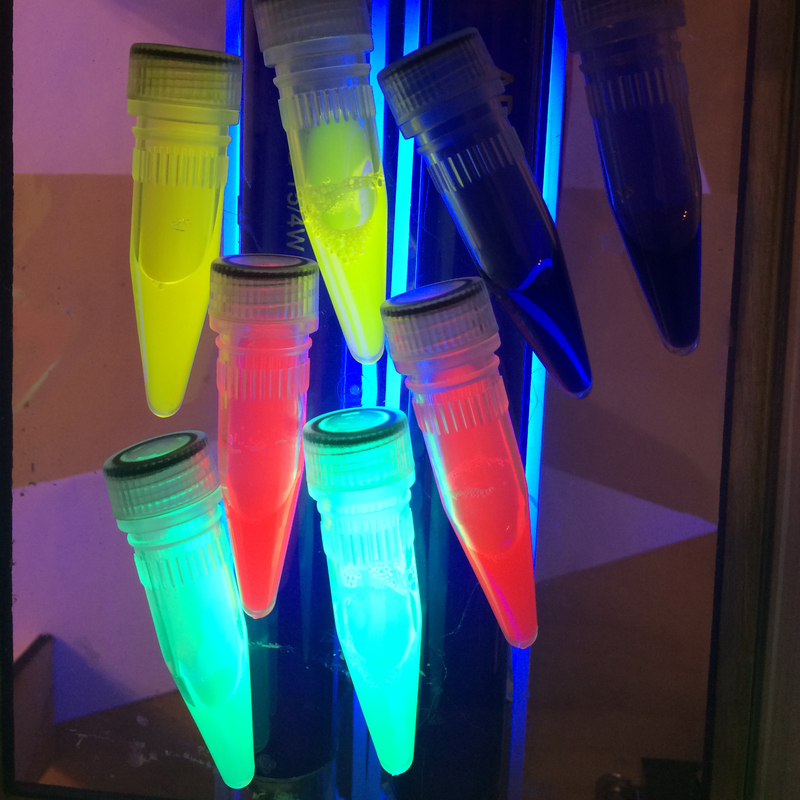 Featuring: Kid friendly crafts, activities, workshops, installations + more! 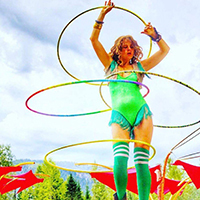 Come join Dixie Honey in the kids zone starting with a gentle stretch followed by a hoop jam where I will teach you all my favorite tricks. This class is for all levels young and old. Diversity Kidz' Mural on Saturday from 2-3pm: Pre-school teacher and Diversity's own KidZone coordinator, Rachael (aka Sunshine Mica), hosts a mural workshop for the children each year with a different theme, This year's mural theme is PUZZLE. There will be multiple large sized "puzzle pieces" available for painting, and once finished they will all be put back together into one complete piece. 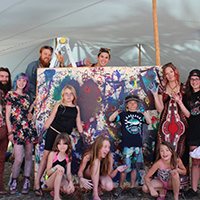 Come bring your little ones of all ages to be a contributor to this collaborative art project! 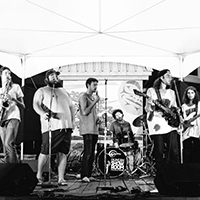 Kazoo and Noisemaker workshop + one more workshop and a Sunday Parade ! Captain Thunderpants is an intergalactic Space Pirate from the planet Funkathon. He travels through time and space aboard his Star Galleon, the Epic Spectacular Thunder Stallion, trading songs, stories and games for sweet potatoes. The Captain has a fondness for dinosaurs, marshmallows and polka. Diversity Festival would like to present it's all new competition section for 2018. Oh Ladies……….Are you tired of always looking amazing??? It’s time to get downright ugly in that saggy old one piece and swim cap. It’s going to take all the unflattering attire and demeanor you can muster to win this one!!! Calling all MEN (or those who identify as male.) This is your chance to strut your stuff and give us something to talk about. Bring your bathing suit, your attitude and a towel. Cause to be a male model, your swimming skills and technique will be put to the test! Don’t be shy, be bold and bodacious!! 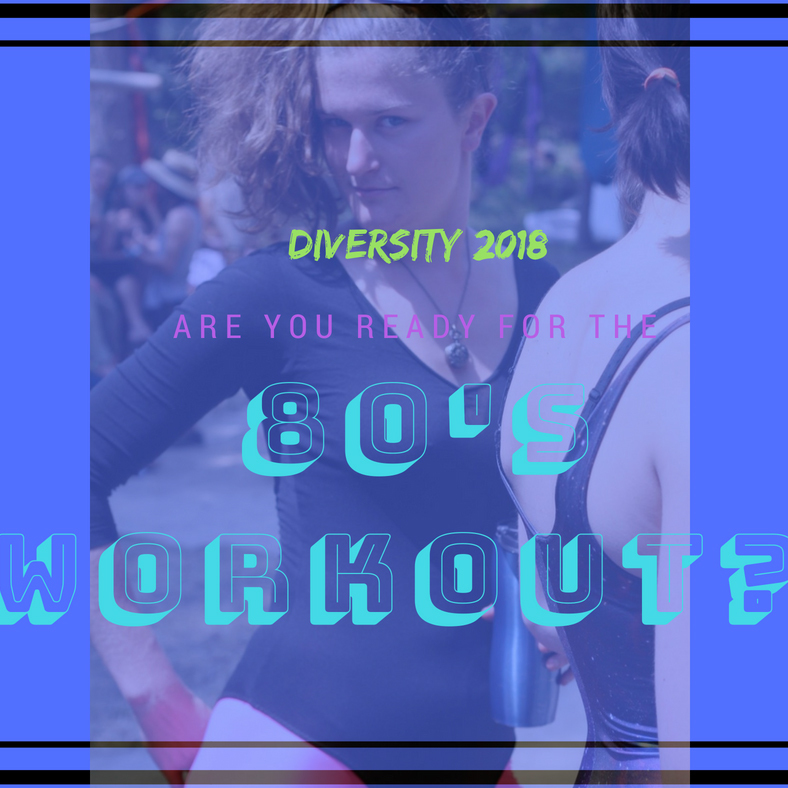 Do you think you have what it takes to rock Diversity’s first ever AIRBAND COMPETITION??? Diversity wants you to BRING IT and rock so hard, we might take you for granite! Prepare to be judged by our world class judging panel and compeat your way to 1st, 2nd and 3rd place prizes!! !